The tradition of sauna evenings is a big thing in our little corner of the world, popular amongst friends, co-workers and various sports teams. At Stadshotellet we have two saunas that you can rent for the evening or just a couple of hours if you like. We also offer some great packages so you can combine a night with sauna and good food and then carry on to our nightclubs. Includes private use of the sauna (2,5h), dinner and free entry to nightclubs (service fee 3€ not included). 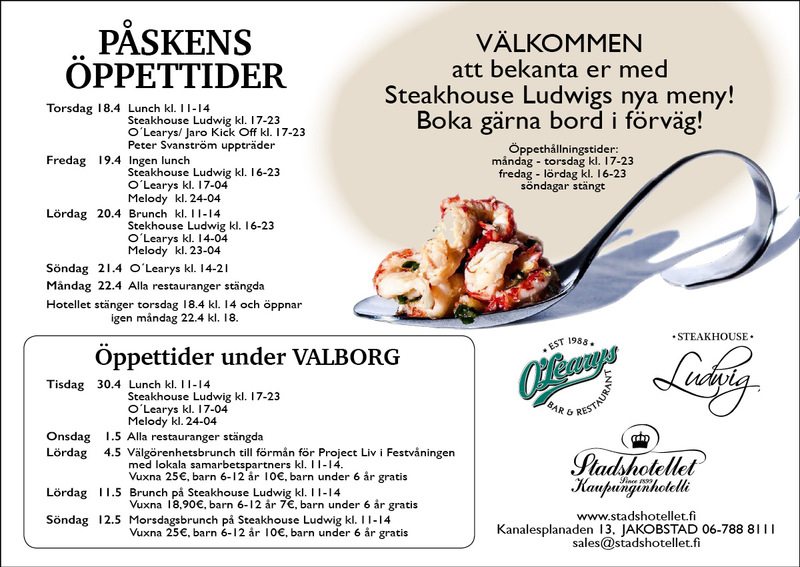 Dinner is served in the sauna area or in Steakhouse Ludwig depending on the size of your group and/or choice of service (buffet or table serving). See dinner alternatives below.